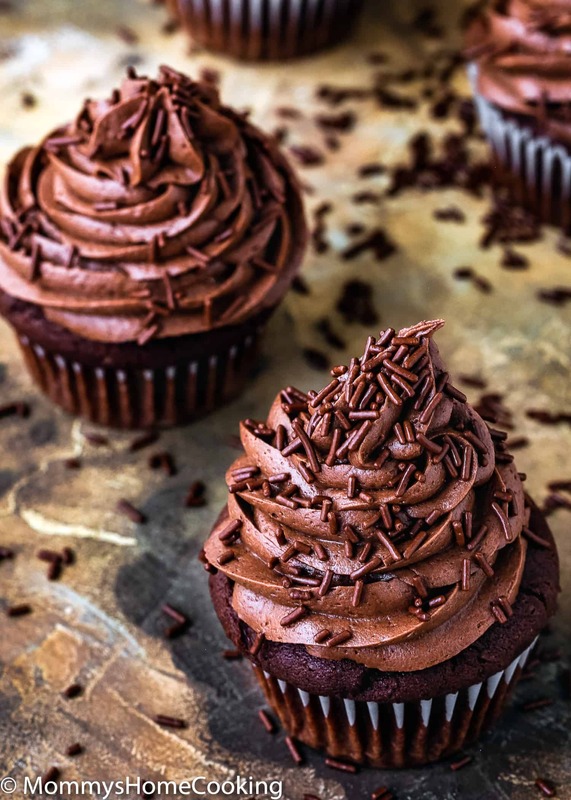 These Eggless Chocolate Cupcakes are super chocolatey, moist, rich and delicious! They’re easy to make, with just a handful of ingredients. 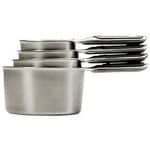 Perfect for birthday parties, gatherings, celebrations or whenever the mood strikes. Oh My Chocolate!! 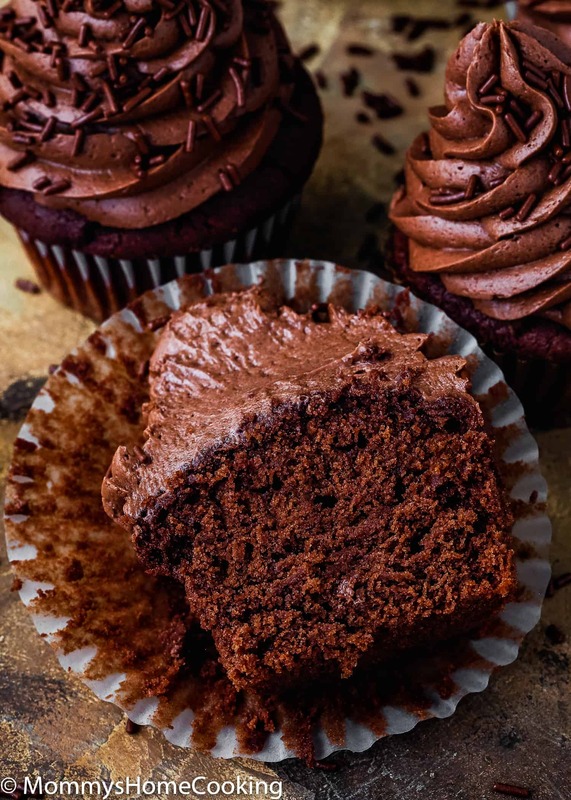 These Eggless Chocolate Cupcakes are super chocolatey and rich. You are going to LOVE them. Plus, they’re easy to make, with just a handful of ingredients. Perfect for those with egg allergies, but also great for those who ran out of eggs and are having a chocolate emergency. I can attest that chocolate emergency is a real thing [wink]. These were a hit with my family. They got 1230 stars and 2863 thumps-up. Now you can have an idea of how delicious they are. LOL. 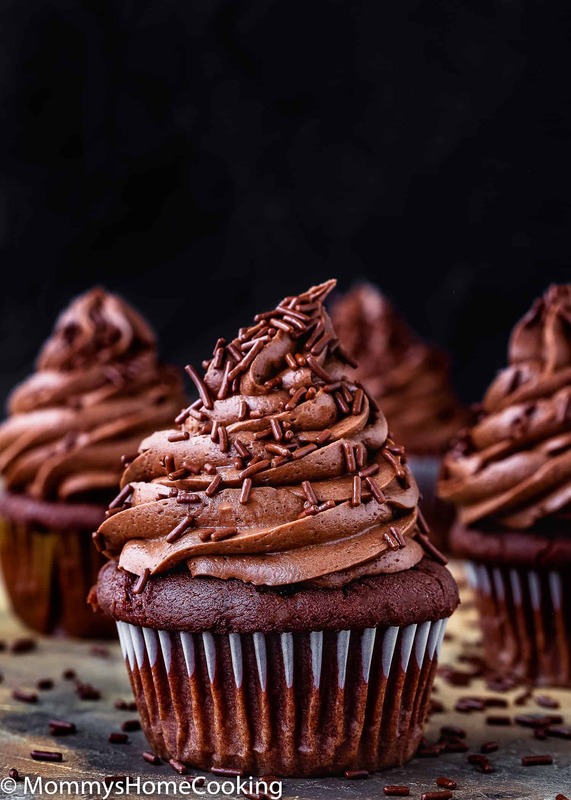 These Eggless Chocolate Cupcakes may just be the moistest, fluffiest and most delicious cupcakes I’ve ever eaten! 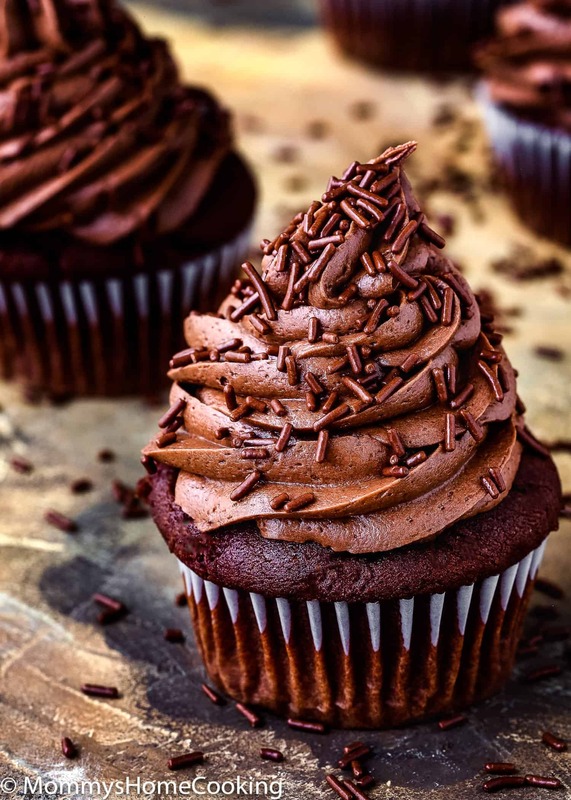 These Eggless Vanilla Cupcakes are incredibly fluffy and bursting with chocolatey-buttery flavor. For the frosting, I made my Nutella buttercream, but you can use anything you like. If you are looking for a shortcut you can use a store-bought frosting. 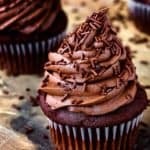 I usually make bigger batches of cupcakes because it’s so easy to just put them in the freezer and then defrost one for a birthday or school parties or whenever the mood strikes. Freezing cupcakes is super convenient. 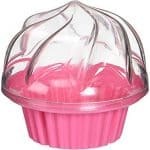 For example, when my daughter has to attend a party I defrost a cupcake, add some icing and lots of sprinkles, of course, and pack it in this super convenient and cute cupcake container. First, let cupcakes cool COMPLETELY. Then, wrap cupcakes tightly in plastic wrap and place individually-wrapped cupcakes in a plastic double zipper quart freezer bags. 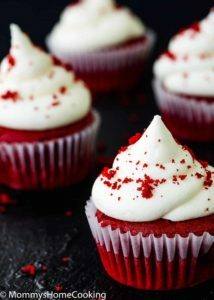 Freeze the cupcakes for up to 1 month. I recommend freezing them without any icing or frosting on them as some icings can turn watery as they defrost. 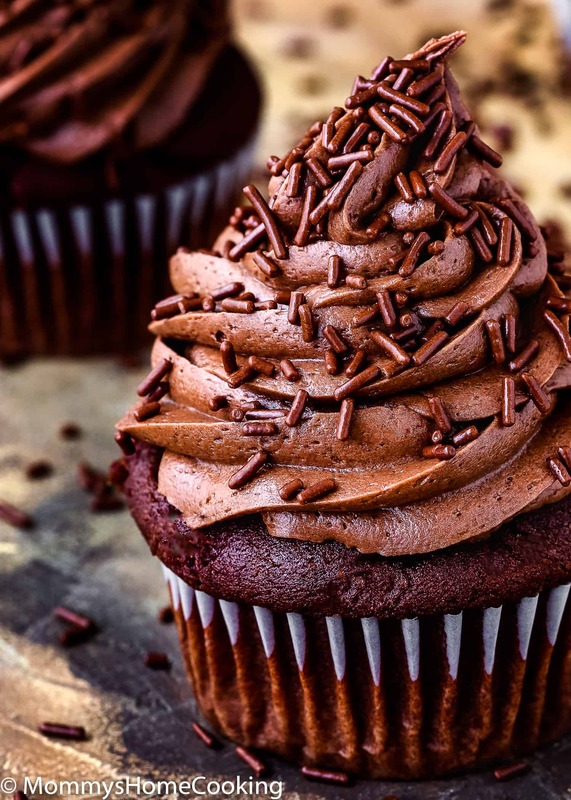 To defrost, unwrap cupcakes and bring them to room temperature. Can I make this recipe into a cake? 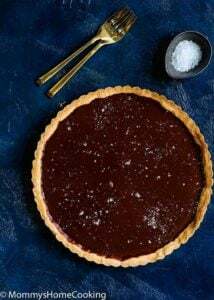 If you want to make a cake check out my awesome recipe for Eggless Chocolate Cake. Not necessarily. 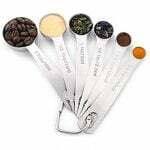 You can use all-purpose flour but for each cup of flour add 1 1/2 teaspoon of baking powder + 1/4 teaspoon of salt. Yes, buttermilk is necessary for this recipe. Add 1 tablespoon of lemon juice or white vinegar to 1 cup of regular milk. Let stand 5 minutes.The milk will get thicker and clumpy and is ready to use in any recipe calling for buttermilk. Today’s chocolate cupcakes are for true chocolate lovers. 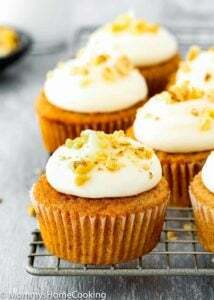 Definitely a wonderful Eggless Cupcake. 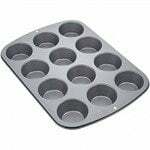 Preheat oven to 350° F. Line the cupcake pans with liners. Add butter and sugar to a large bowl or the bowl of a stand mixer. Beat until well combined, creamy and pale Add sour cream, oil, buttermilk, vanilla, vinegar and coffee mixture; mix until well combined. Add flour mixture and continue mixing until just combined. Do not overmix. Bake for 20 - 23 minutes, or until a toothpick inserted in the center comes out clean. Remove from oven and let them cool in the pan for a couple minutes, then remove from pan. I made these today, so amazing! 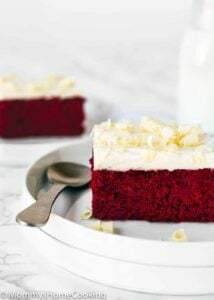 I have been trying to find an eggless cake, I have tried so many, I was happy to find this! Us people with egg allergies thank you!! !